Yesterday April 9th, 2012 I sat back and watched a fairly dramatic Masters Golf Tournament to its conclusion. It was an enjoyable afternoon. There was drama and both good and bad play. I hadn’t watched the Masters in years for one reason or another. Just timing really as it has always been one of my favorite golf tournaments. I’ve seen remarkable play at Augusta and remarkable meltdowns. I’ve seen dramatic shots that ripped the green jacket off of the apparent winner and I’ve seen apparent winners toss the jacket away with shots that are normally the jurisdiction of high handicap players. I’ve witnessed crushing defeats and glorious victories. My favorite moment was in 1986 with Jack Nicklaus winning at the age of 46. It was a moment lost in time not only because of the Golden Bears age or the hug for his caddie son on the 18th green, but because I watched it with friends at a sport psychology conference and it would be the last time we were together in one place. 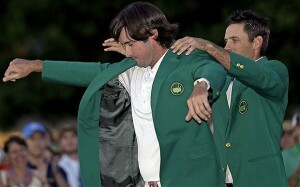 So why am I writing about yesterdays Masters. Not because of the drama of Bubba Watson winning the two hole sudden death playoff even though his approach shot was remarkable. Yes I do think there were a few interesting psychological competencies that are always demonstrated during highly pressurized matches, but there was more at this one. Not more pressure or more instances where we could see them, but for me something more interesting. I will interject a twitter argument I had with a sport psychology researcher while we were tweeting away about the match. He pointed out that Bubba Watsons shot that basically won the Masters was not a demonstration of mental toughness because if he were mentally tough he would not have put his drive in such a bad spot to begin with. This is just another case of a researcher not having a good understanding of sports. While I believe there is much more to mental toughness as I have written quite often about, I do think it was an example of resiliency an important competency of emotional intelligence and mental toughness. I will of course state that we don’t know from what we say on TV had anything to do with any psychological construct other than to say it might have been a great example of resiliency. That in fact is how I use anything seen from sports events in working with athletes. They are stories that teach lessons about things we want athletes to understand. What actually happened we don’t have an understanding about unless we have the opportunity to talk with the athlete and even then the information would be questionable. But as an example of behavior we want another athlete to emulate, it provides a great story and as such is a wonderful teaching tool. So to my twitter friend, I’m glad you are out there doing research. I hope it is useful to those of use that work in the real world. Back to the Masters and why I was so intrigued. One of the first things I heard during the broadcast was the word visualization. Not once but twice in succession talking about a golfer. This was followed shortly with remarks about how calm the golfer is and comments about his breathing. As I paid attention during the tournament I heard more and more references to psychological constructs related to performance. Hearing one or two during a tournament is no big thing, but it seemed to me that there was a definite tendency towards the mental picture of a golfer. I’ve watched tournaments for years both on TV and in person and usually the discussion is about swing mechanics. The only time the announcers focus on mental attributes is when a player melts down for the world to see. This was definitely different. I heard discussions about stress, anxiety, focus, calmness, breathing, visualization, imagery, emotion and other skills. I have to wonder out loud, this is as loud as I can be, if it was part of their show notes or just a new trend especially with so many golfers working with sport psychology consultants like myself. AS for what I saw at the end of the tournament. I saw two golfers hit bad drives on the 2nd playoff hole. I won’t say it was stress. It could have been something as ridiculous as just a slip in footing. The next shots I will use as examples. Louis Oosthuizen was in a better position for his next shot. He left it short. Stress, loss of focus, poor club selection or a bad lie could all have caused the ball not to carry to the green. Watson had to hood a wedge 155-165 yards and hook the ball 40 yards to hit the green. He did and basically put himself in the driver’s seat. 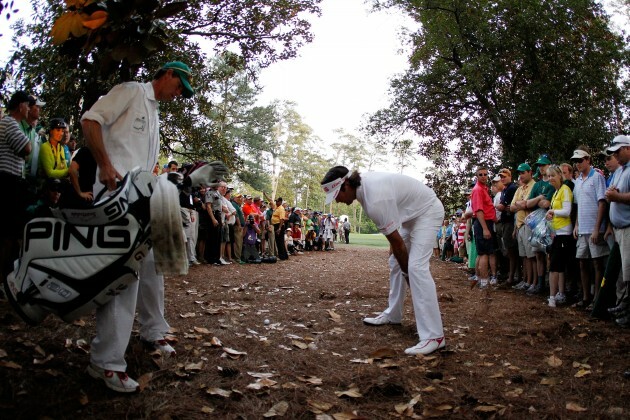 Oosthuizen would have had to sink his putt to regain control and instead put the ball past the hole. At that point the tournament belonged to Watson. The construct I will use regardless of what actually happened is resiliency. Watson hit a bad shot and needed a great one to recover. Golf is an unfair game and sometimes you hit shots that don’t go where you want them to go. How you recover is how you succeed. This is one of the keys to emotional intelligence. Bad things happen in every sport. Not just because of stress, but often because of the good play of others and it is how you recover that will dictate how successful you ultimately become in anything you do. Last week LA Laker Kobe Bryant went like 0-14 in a game and then hits the game winning 3 point shot. People don’t bounce back unless they are resilient. There will always be examples of remarkable athletes and great performances, but as people are rarely perfect, they most always need to bounce back from some adversity. Resiliency can be developed within you. I suspect it’s worth a shot. This is not just for golf, it is for life.